I donated this cake for a cake auction fundraiser for the Madagascar School dinner held last night. A friend of mine started the Madagascar School initiative, where she actually built a primary, middle and high school in an area where children had no schools at all. Their penultimate fundraiser is an annual dinner that includes a cake auction. The cakes go for crazy high amounts and are cut and eaten at the table by the bidders. A lot of fun and a good cause too. Not sure what this beauty went for, but I’m hoping the school made a good buck on it. To read more, click on this link: Madagascar School Project. Okay, these cupcakes are a little over the top. Last year’s Valentine’s Day supper included two cupcakes for dessert. I figured instead of real flowers on the table, why not two giant cabbage roses, piped from chocolate buttercream as big as the cupcakes themselves? A little top heavy and a little tricky to eat and a lot silly…but a real novelty! 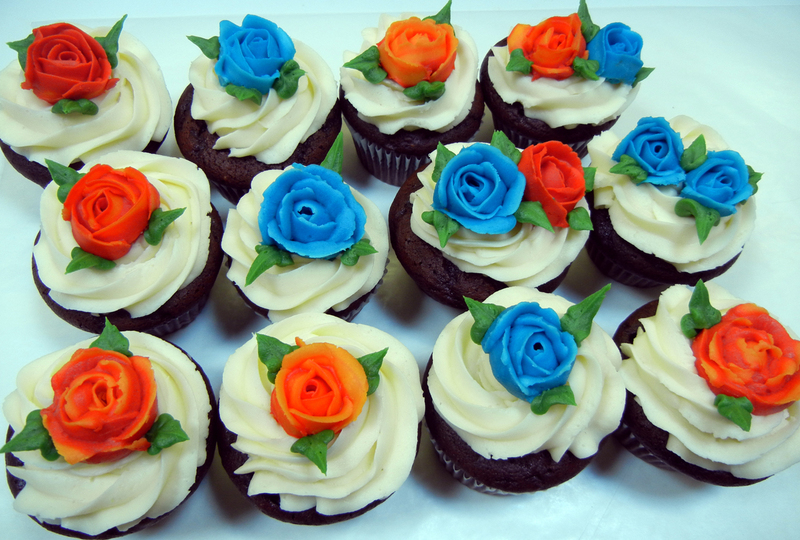 ,,, and a dozen with a buttercream rose on each. Not sure what I’ll do for this year’s offering. 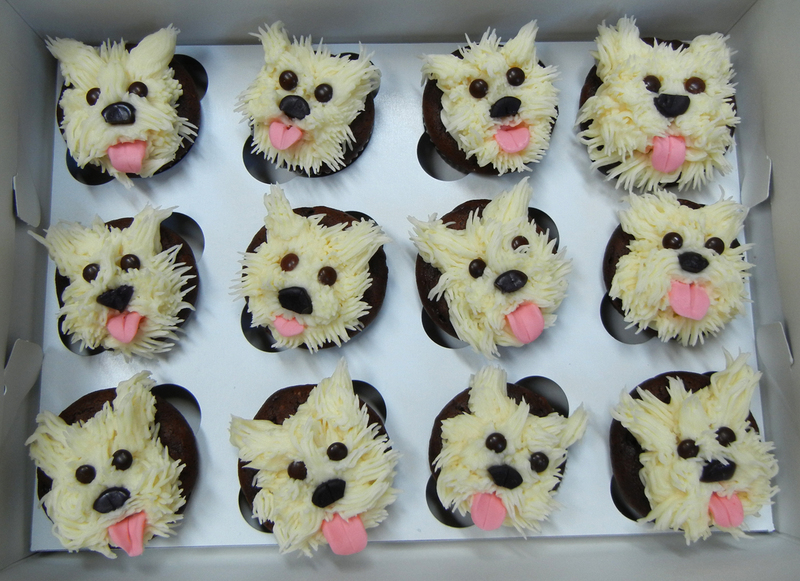 This year’s SPCA’s National Cupcake Day is February 23. Stay tuned.